← Lily, The Lucky Dog! 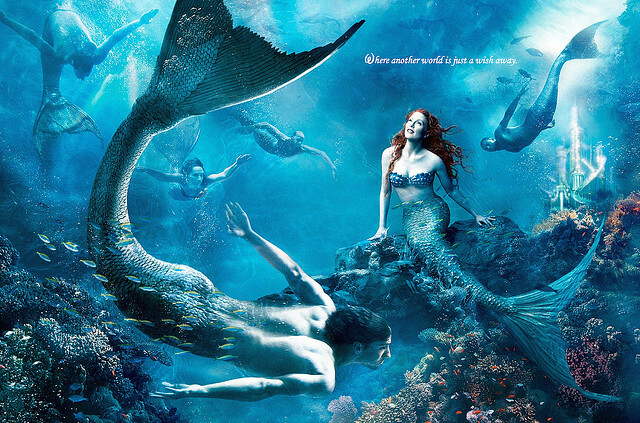 In the spirit of the Olympics (and Michael Phelps’ amazing performance) and the release of the Hitchhiking Ghosts photo yesterday, here’s Michael Phelps and Julianne Moore in an Annie Leibovitz ‘sDisney Dream Portrait from 2008. Having Phelps as a merman to Moore’s Ariel is a nice touch! This entry was posted in Uncategorized and tagged Annie Leibovitz, Julianne Moore, Michael Phelps, Olympic, Olympic Games, The LIttle Mermaid. Bookmark the permalink.